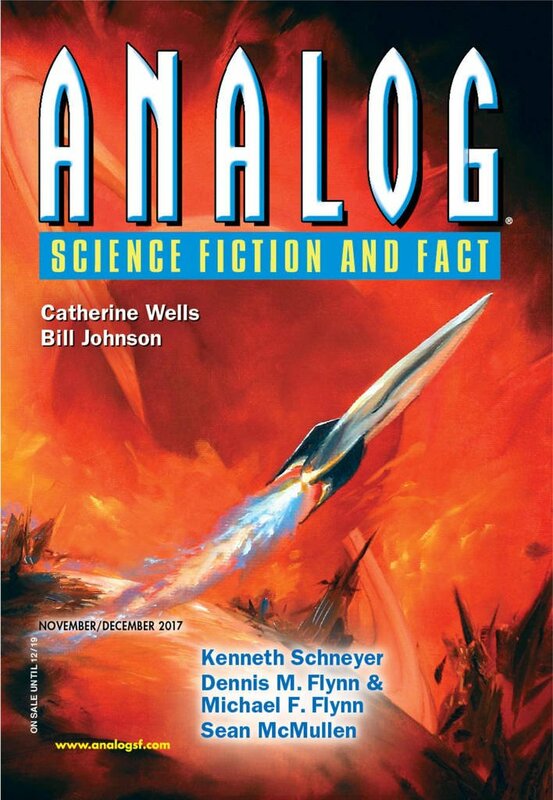 "Weaponized," by Jay O'Connell [bio] (edited by Trevor Quachri), appeared in Analog Science Fiction and Fact issue 11-12|17, published on October 19, 2017 by Penny Publications. Pro: It’s the story of how he came to love and trust her, and, presumably, they lived happily ever after. It’s sweet how his desire to protect her is what finally melts her reserve and lets her tell him everything. Con: It’s creepy that he didn’t level with her about the research he did on her. It’s also creepy that she’s wearing a device that could kill him if she makes a mistake with it. Especially a black-market, untested thing.